The SEAT Ibiza and Paris are back together after thirty years. Today the Spanish brand celebrated the 30th anniversary of its icon at the opening day of the French capital's Motor Show. SEAT President Jürgen Stackmann appeared before the media together with the first unit of the Ibiza, presented at the 1984 Paris Motor Show. The Ibiza has been SEAT's best ambassador over the past 30 years, and its best-selling most-exported car, with more than 5 million units sold. 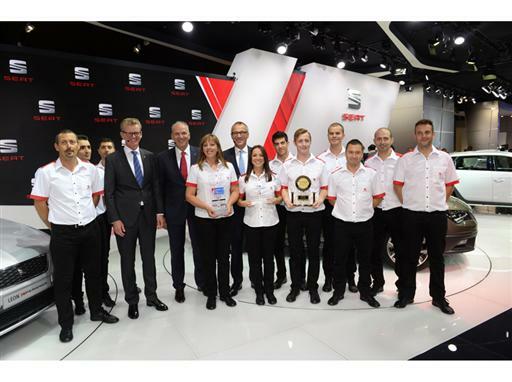 During his presentation, SEAT's President described how the Ibiza was born from the union between "German engineering and Mediterranean design", two values that are still very much in evidence in the brand. "The Ibiza was the first car that we at SEAT developed on our own and has become key to define our DNA, our driving young spirit, and to determine what we are about", he added. Stackmann asserted that in SEAT's growth strategy "now we have a second powerful pillar, our new Leon", announcing that "Leon sales for the first time have reached the same levels as our Ibiza. SEAT has successfully arrived in the A-segment, and we are starting to shift our brand focus upwards".